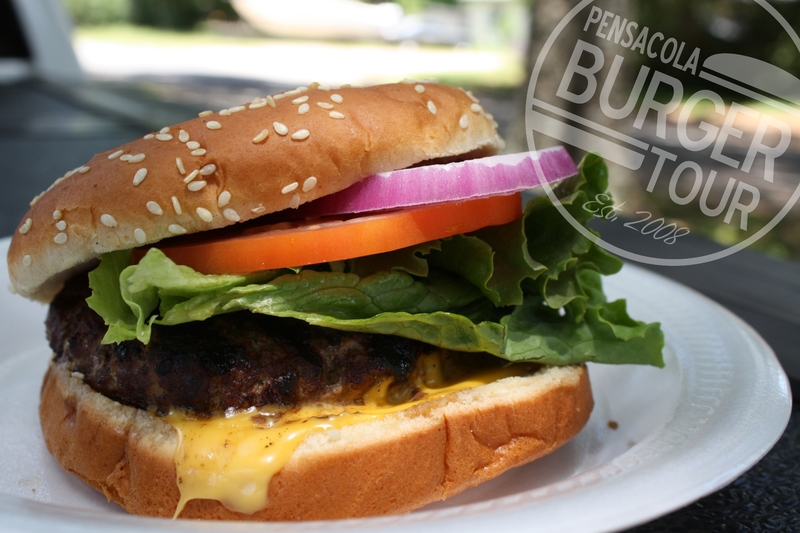 The Pensacola Burger Tour is about one thing; BEEF. And you know the rules; we’re not concerned with ambiance, courtesy of the wait staff or the cleanliness of the restroom. Our only concern is TASTE. So how would we follow up a visit to a fine-dining restaurant like Pot Roast & Pinot? Simple; by trying a blue collar burger our fans tell us is amazing. This week we dropped in on a take-out steakhouse. 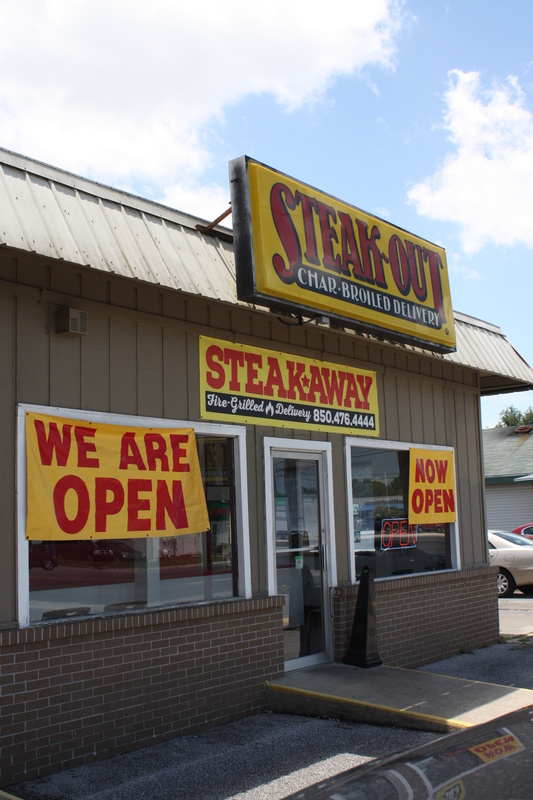 Yes, a take-out steakhouse. Sounds crazy, right? Yes. It is crazy. But it’s delicious. The folks at Steak Away (formerly Steak Out) on 9th Ave share our affinity for beef. I mean, where else can you get a 16oz Ribeye to go!? We’ve received a number of emails about this burger and this week we had to drop in to check it out. The burger at Steak Away is flame kissed before your very eyes on an open grill visible from the counter. The smell of smoke and beef fill the lobby and start your mouth watering as you walk in the door. The burgers are cooked to order, seasoned perfectly and have that incredible smoky back-yard burger flavor. Several judges agreed. The flame broiled patty is everything the Whopper promises to be- only better. Served on a poppy seed bun the similarities to the Whopper are striking. So check it out. Let us know what you think.